Shabbat evening services, generally including a Torah reading and commentary. Following services, gather at an Oneg Shabbat to share dessert and conversation. This shabbat marks TBI’s Rabbis’ Yahrzeits. 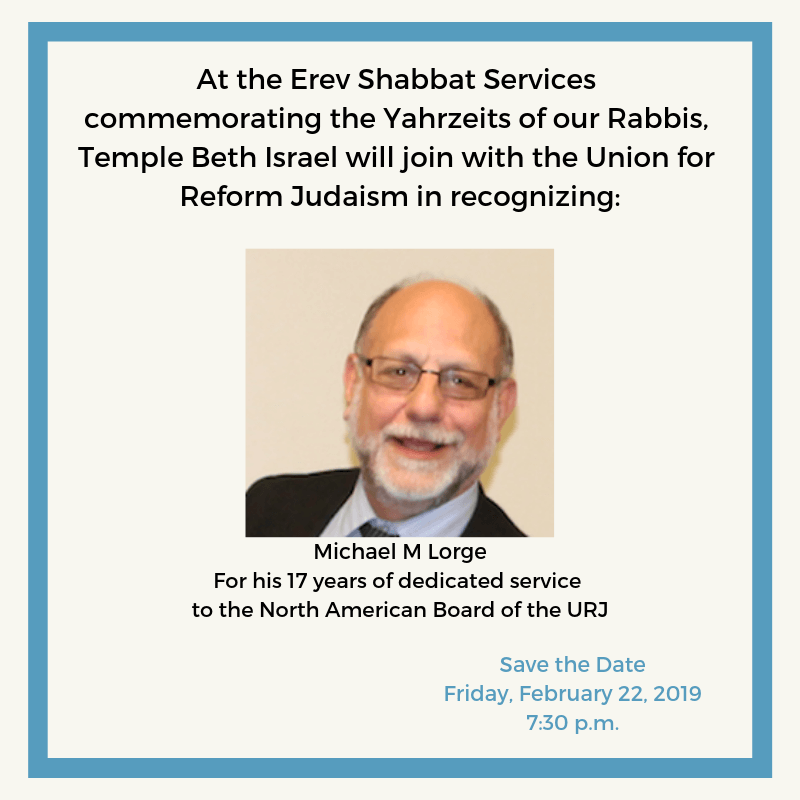 Along side the URJ, we will also be honoring Michael Lorge for his 17 years of dedicated service to the North American Board.